CAVENDISH, Lord John (1732-96), of Billing, Northants. b. 22 Oct. 1732, 4th s. of William Cavendish†, 3rd Duke of Devonshire, and bro. of Lord George Augustus Cavendish*. educ. Hackney; Peterhouse, Camb. 1750. unm. Ld. 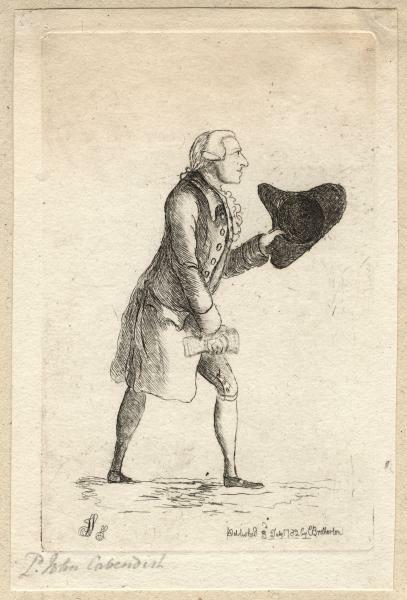 of Treasury July 1765-July 1766; PC 27 Mar. 1782; chancellor of Exchequer Mar.-July 1782, Apr.-Dec. 1783. My first wish is to keep out of Parliament; but if I can not avoid that, I will go no further than to a quiet borough where I shall not be plagued with the jobs or humours of my constituents. I have often told you that may political zeal is much abated, and my indolence increases as I grow old. 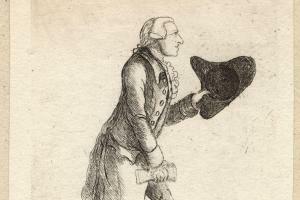 He declined Fitzwilliam’s offer of a vacant seat for Higham Ferrers in December 1790. It was to maintain the family interest that he came in for Derbyshire on the death of his elder brother.1 He took his seat, 2 June 1794. 1. Minto, i. 260; Fitzwilliam mss X512/20; box 41, Lee to Fitzwilliam, 18 Dec. 1790; Wentworth Woodhouse mun. F34/191; Spencer mss, Ld. to Lady Spencer, 8 May 1794. 2. Burke Corresp. vi. 161; Blair Adam mss, Portland to Adam, 10 Sept. 1791. 3. Burke Corresp. ix. 178, 196, 215; Burke Corresp. (1844), iv. 526.